I have seen a few polymer clay artists using cutting machines such as the Silhouette or the Cricut to get accurate cut outs. One such artist is Gloria Uhler of Domestic Diva Online. 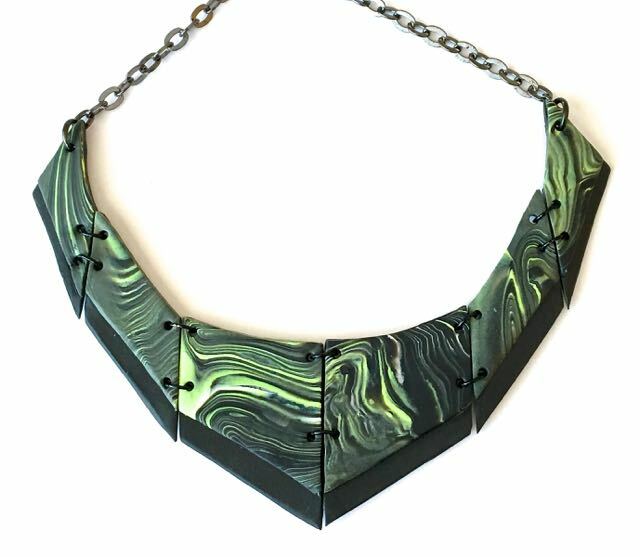 Her Pistachio Polymer Clay articulated necklace tutorial is a contemporary design made with Sculpey Souffle. Gloria says this clay brand produces a suede-like finish. The tutorial is very thorough as there are several options. The PDF gives the templates to cut out if you are just using craft knives. There is also a cut file if you have the Silhouette machine. 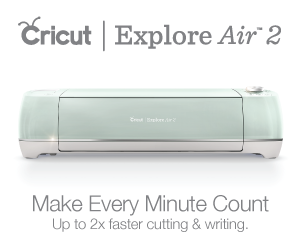 Use the SVG (Scalable Vector Graphics) file if you have another machine like the Cricut. If you are using a cutting machine, you will need the deep cut blade. What Gloria does is to put the clay on the shiny side of freezer paper which is then placed on the cutting mat. This means your clay is not going to stick to the mat! These machines are very versatile as you can design your own cuts from all sorts of materials (paper, card, leather, fabric and so on). A much better value than die cutters like the Sizzix which use set designs. It is! I love the contemporary style! Love this idea. Great article, thank you. Do you think could use technique on a Brother Scan and Cut?